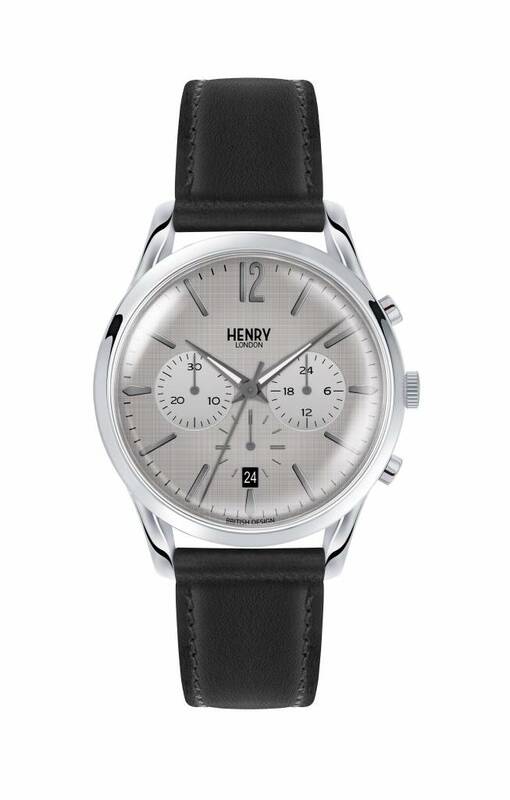 Men's watch from the brand Henry London, model Piccadilly HL39-CS-0077. 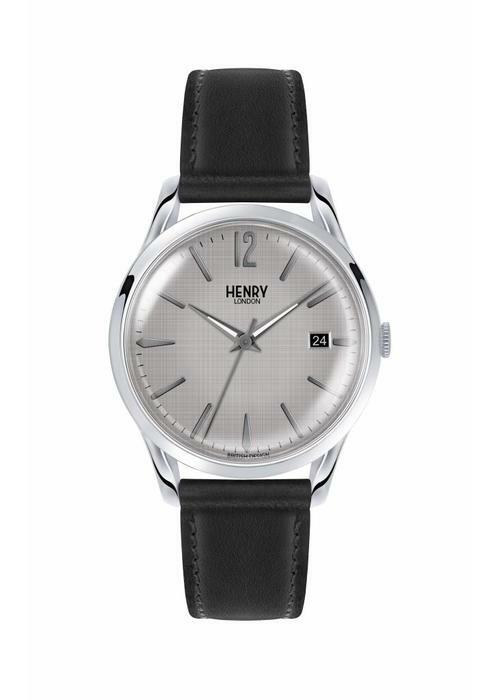 The round, silver-colored case has a light gray dial that incorporates a subtle diamond pattern. 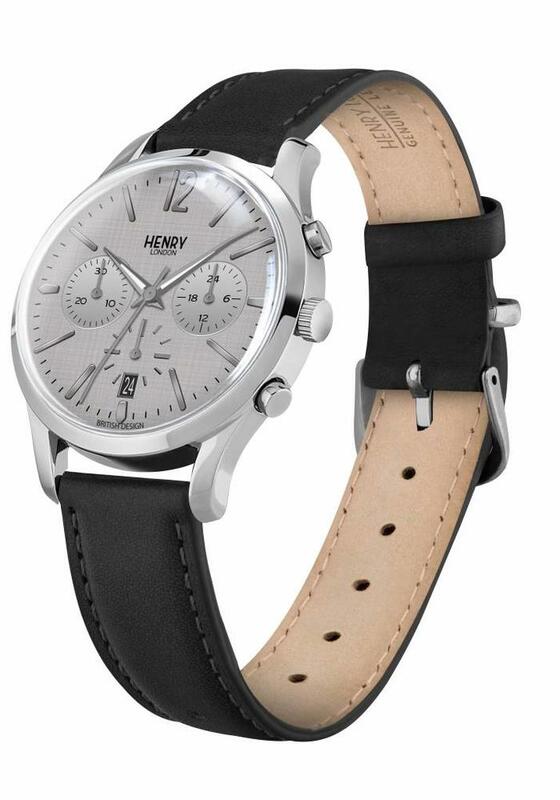 The seconds, minutes and hours are displayed in three chronographs. 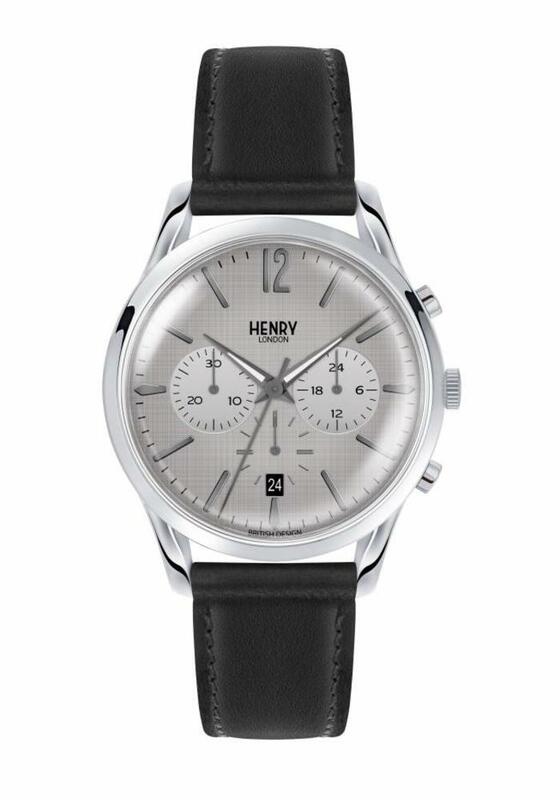 The dial is marked with date and has a diameter of 39mm. 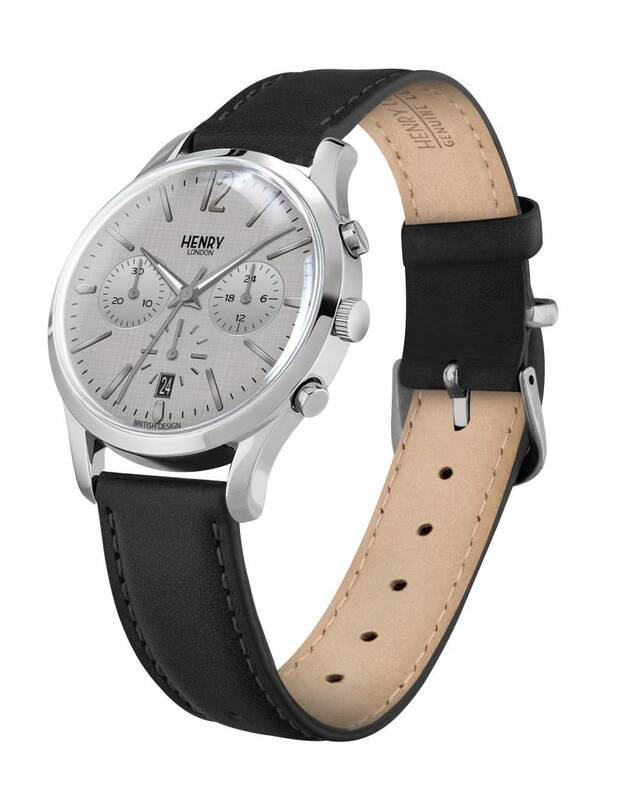 The band is made of black leather. 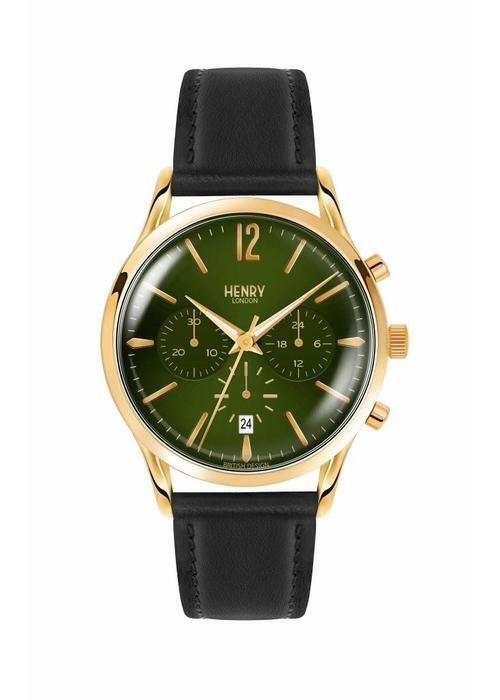 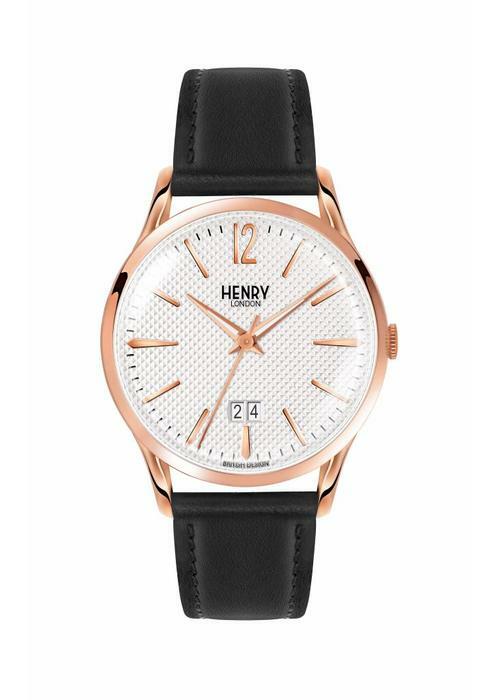 This Henry London watch is both casual to wear and a nice suit.